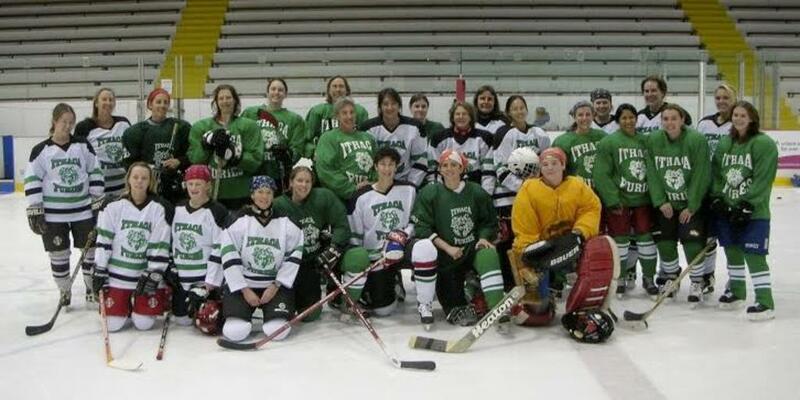 The Ithaca Furies were started in 1998 as a response to the growing number of women who have learned the basics of ice hockey and want to experience relatively low-key competition in a friendly, supportive atmosphere. Although we love to win games, and do win sometimes, the Furies are more about fun, friendship, team spirit, and healthy exercise than about winning. Don't ask us our record, because we can never remember the score! If you are interested in joining the team or if you or your organization would like to sponsor the Furies, please contact Helen Evans. If you would like to schedule a game or scrimmage with the Furies for your team or group, please contact Theresa Brenum.